"We contacted ~4 realtors after we had decided to look for a home in the Myrtle Beach area. The Knight Team responded faster than anyone else and with a full list of properties within our boundaries. With each visit we narrowed our list and added those they thought were appealing to us. They really understood what we wanted and optimized the time we spent looking. They really knew the beach and provided excellent advice navigating through location, code and compliance, price, statistics and ultimately our offer. Once our offer was accepted, they provided far more support after the sale and went far beyond the norm. They have become a friend in the process." "We selected The Knight Team based upon contacts and interviews. We actually shopped for a new home from out of state. Over many months, they kept us informed, including emails, of properties that met our requirements and personally took us on all of our numerous tours while accommodating our long-distance travel availability. During the period, their patience, flexibility, willingness to accommodate, helpful insight, honesty and extremely strong knowledge of the entire Myrtle Beach area became very apparent and extremely welcome. They were always respectful of our needs and desires and maintained a professional yet personal relationship. We did find the house of our dreams, and their help and guidance even extended beyond the closing. They have earned our highest praise, and we now consider them a friend for life." "My wife and I started thinking about selling our townhouse in North Myrtle Beach in January and also maybe buying a new place as well -- depending on what we sold our townhouse for. We did a lot of searching to find the right realtor and then we found the Knight Team which provided us the best of both worlds that we were looking for. We don't have enough great things to say about them, they were simply AWESOME throughout the selling process and also helping us look for new houses that would work for us. They walked us through the entire selling process and what we needed to do with our townhouse before putting it on the market. While in the process of selling our townhome, they also went with our on numerous house showing and we eventually found a house we really liked. So once we sold our townhouse, they navigated us through the buying process of putting in an offer in our new house which also got accepted. They helped us negotiate with all parties involved so we only had to move once - so by the time we had to move out of our townhouse, our other house would also be ready to move in. We don't know if that would have been possible without Kristi and Jewell. They were amazing throughout this whole process (Jan - May), they were very professional but also very sincere in the way they communicated with us and we knew that they always had our best interest in mind with everything going on. They were very responsive to all emails, calls and text messages and was there for most of our major appointments which was great. We also recommended them to one of our friends and they also sold their house very quickly! 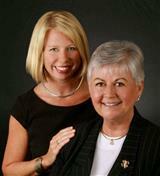 So if you are looking for a great agent - I would highly recommend The Knight Team- Kristi and Jewell." "We found Kristi and Jewell to be very knowledgeable about the North Myrtle Beach area. They only showed us homes that were within our budget and had the features we had reviewed with her. They were very organized and responsive. Buying our North Myrtle Beach house was the most positive real estate experience we have had. We highly recommend The Knight Team." "Jewell and Kristi were a pleasure to work with. They took the time to fully understand what property characteristics we were looking for and did their homework to research properties such that our visit was efficient and effective. Not only were they able to find us a perfect home, they continued to work with my family to help on other home-related matters such as landscaping and many other items, they are both very well-connected and respected. Thank you Knight Team for doing such a wonderful job for us!" "When we decided to make the Loris area our retirement area, we were advised to find a realtor that was intimately knowledgeable about Loris and the surrounding area. We found that realtor in The Knight Team. They initially started showing us homes and worked diligently to find one that would meet all of our requirements. When we decided to build a house, she turned on a dime and found us a lot that is now going to be the location of our dream home. They do not just sell real estate. From their knowledge and experience they made what could have be a stressful situation to an enjoyable one. They are at your side every step of the process. We have worked with realtors in different locations throughout the years and have never met two that are so dedicated. Several Loris residents told us that we had the Best Realtor in the area. After working with them, we have no doubt that they were right!" serving the Grand Strand, Horry, Georgetown, Brunswick Counties & Surrounding Areas. The Grand Strand and the surrounding areas are great areas to live. If you're buying or selling homes, townhomes, condos, ocean front properties, patio homes, new homes, investment properties, single family homes, or any other property call us and we'll be glad to help: Jewell 843-251-5775 or Kristi 843-251-5776 .Whether you already know which area you are interested in, or are looking for some suggestions, contact us and we can discuss any questions you might have regarding real estate in the Grand Strand, Horry County, Brunswick County, or any of the surrounding areas! We are natives of the area as well as top producing Brokers, who know the area and real estate. Your resource for updated MLS listings of waterfront properties, lakefront properties, condos, townhomes, foreclosures, bank-owned properties, new construction, homes with acreage, lots and land, short sales, and more in the Grand Strand area and the surrounding cities. This real estate web site is designed to provide you with the latest real estate market information featuring a real estate search that will allow you to search for local area homes, condos, or lots/land. Everything you need to know about buying or selling a home can be found here on our Web site! As the preeminent real estate professionals in our community, we are dedicated to providing the finest PERSONAL service available while breaking new ground. Because the industry is becoming more sophisticated and challenging every day, you need professionals that understand the industry and are positioned to stay ahead of the game. If you are interested in buying or selling your beach property or golf property in the Grand Strand area, you'll find that our attention to detail and the level of information including photos presented online for the distinguished properties we represent provides excellent and extensive exposure for each property. Since more than 90% of all Buyers begin their search online, the way in which properties are presented for sale online is vital to their successful marketing and sale. This website has more to offer than just the Grand Strand real estate listings - you will also find a wealth of useful information for home buyers and sellers. Please feel free to contact us directly if you have any questions about our market, or buying or selling a home in our area. We look forward to serving you and making you a member of the "Knight Team Real Estate Family". Your satisfaction is our goal and reputation.